After postponing the long-awaited birthday present (due to bad weather) the day finally arrived. Veronica, the 71-year-old lady I support through the Choices full-time volunteering programme, was more than ready for the plane trip. She had been counting down the hours and praying for good weather. Finally the call came through, and a big smile appeared on Veronica’s face. We got in the car and went straight to Norwich airport. Veronica could not have been more excited, and of course anxious! Then we met the pilot, who told us that Veronica could travel at the front with him and see how he flies the plane. We eventually got on the plane. Veronica was beyond excited. The pilot asked us where we wanted to go, and of course Harleston (Veronica’s village) was our first destination. After a few last minute checks, the adventure began. 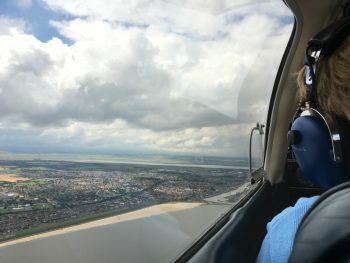 We took off and began circling Norwich. 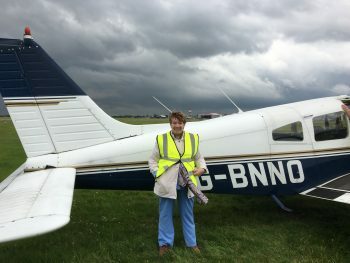 After reaching the correct height, the pilot allowed Veronica to handle the plane and take us towards Harleston. She did a great job! We looked out the windows and began searching for Veronica’s house. After circling Harleston several times, we eventually found it. 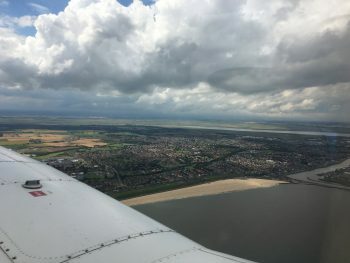 Then we headed to the coast and flew over Southwold, Lowestoft and Great Yarmouth. Throughout the entire trip, Veronica did not stop laughing and making jokes. We had a beautiful view of so many places. Happiness was with us all the time. I felt very happy and proud to see Veronica being happy and confident. Nothing is more rewarding than seeing her enjoy trying new things that she wouldn’t normally have the opportunity to do. It is an experience she will never forget, and for many days she enjoyed telling everyone how she lived this adventure. It is a privilege for me to be part of this and support her to be more active and live experiences that she never will forget.